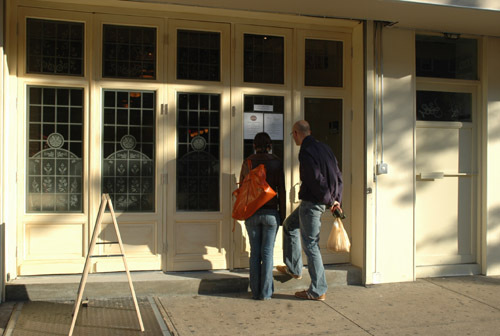 NoNo Kitchen opened on Seventh Avenue in Park Slope last week in the space formerly occupied by the reviled India House. It's a pretty space with a nice looking menu featuring such appetizers as Blue Crab Cake, Jambalaya Won Tons, Crawfish Popcorn, Roasted Alligator Sausage and New Orleans Barbecue Shrimp. Entrees are things like Crawfish Etouffee and Shrimp Creole. We did notice that the menu has prices on the high side, at least by the standards of many Seventh Avenue establishments, so we're hoping the kitchen creations tastesas good as they sound. NoNO fue una experiencia fabulosa tanto por su comida como por su atención, tiene un ambiente muy agradable y ya tengo deseos de volver. The kitchen creations deffinetly tastes as good as they sound! When you look at the huge portions they serve it won't seem pricey any more. A lot of crab, a lot of shrimps, a lot of everything in each dish! If you wan't to enjoy a nice dinner in great ambience, friendly service and delicious food go to NoNO.